Carlos Alvarado, of the Citizen Action Party, got 60% of the votes, while Fabricio Alvarado obtained 40%. The evangelical candidate Fabricio Alvarado did not obtain the necessary votes to be the president of the Republic of Costa Rica, according to the results announced by the Electoral Supreme Court. 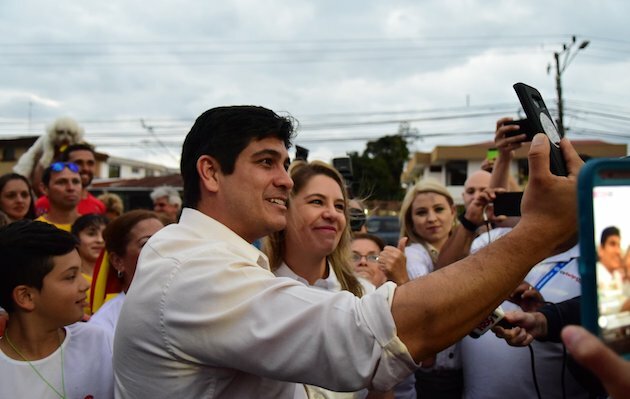 The other candidate, Carlos Alvarado, of the Citizen Action Party got 60% of the votes, while Fabricio Alvarado of the National Restoration Party obtained 40%. It was the first time in the history of the Central American country, that a party and a candidate with evangelical affiliation reached a second round of elections. “This democratic feat belongs to every Costa Rican. My duty will be to unite this Republic”, Carlos Alvarado said in his victory speech. “Today I can say to all Costa Ricans that we can go to sleep peacefully, because there was a result, a decision was made, and now it is time to be together to make a success of this country”, the newly elected president told the press after his speech, according to La Nación. Meanwhile, in his concession speech, Fabricio Alvarado pointed out that “whatever happens, the glory and praise are for God Our message did win the election”. He knelt on the platform in front of hundreds of followers, pointing to the sky with his fingers, as a sign of gratitude to God. Luis Antonio Sobrado, president of the Electoral Supreme Tribunal, assured that “today, the respect that defines Costa Ricans has prevailed. Now it is time for prudence and moderation. It is the hour of humility, generosity and respect. The government chosen by the majority is the government of all”. Immediately after the election results were announced, thousands of Citizen Action Party followers took to the streets to celebrate. During the street celebration, members of the LGBTI community made fun of Christian beliefs and practices. 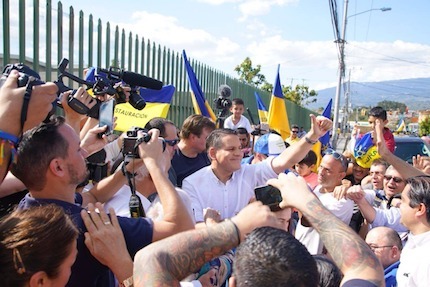 The candidate of the winning party has supported the so-called “equal marriage”, while Fabricio Alvarado is a strong advocate of “life and family”, which earned him support not only from the evangelicals, but also from a section of the Catholics. In the last weeks prior to the elections, followers of the Citizen Action Party carried out acts of vandalism. Catholic and evangelical churches were painted with graffiti in favor of abortion and marriage between homosexuals. Even religious works of art were affected by vandalism. Three days before the elections, the evangelical candidate presented an extension of his original government plan. The so-called “Plan 2.0" of the National Restoration Party was based on Judeo-Christian principles. The document began by saying: “National Restoration seeks to lead the country through a vision of development based on the Christian principles that have marked the country's history." The proposal presented by Alvarado sought to banish gender ideology from Costa Rican public policy. In addition, it presented specific procedures in different areas such as public finances, infrastructures and social laws, and promoted the strengthening of religious freedom.